Remodeling a home is an exciting endeavor. Whether you’re updating the look of your existing home with new furniture and decor or are moving into an new home that’s in need of some TLC, it’s fun to embark on a remodeling project because you get to customize your home exactly the way you want it. When choosing the renovations you want to make for your home, one area that you should definitely consider are the windows. Windows need some type of covering or treatment for privacy purposes. They’re also one of the areas of a home that people tend to neglect, which is a shame because there’s a lot of opportunity to add style and personality to your home by dressing up the windows. When considering your windows, one change you should definitely make is incorporating stained glass. 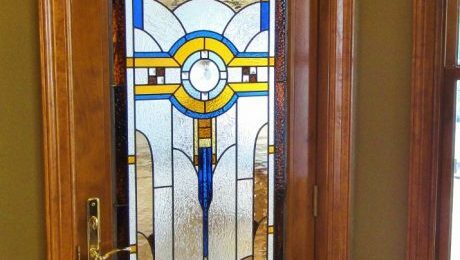 In Kansas City, stained glass is a classic choice, and one that’s highly popular too. Just take a look at the historic neighborhoods of Pendleton Heights and Westport and it’s easy to see why. Stained glass adds stunning beauty and color and dramatically boosts a homes curb appeal. 1. Consider hallway stained glass windows. Dress up your hallway windows with a colorful stained glass window that brightens up this narrow space and makes it seem larger and more expansive. 2. Create a chic urban foyer with antique styles. 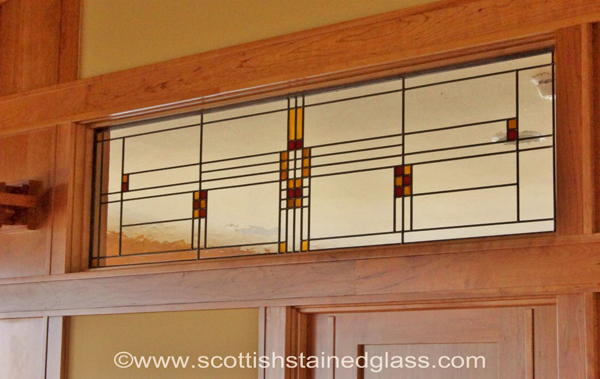 Antique stained glass is perfect for creating a vintage or urban look. For this style, try mixing new and old looks by adding contemporary or industrial looking furniture to your foyer and contrast it with a colorful stained glass style like prairie style or art deco. 3. 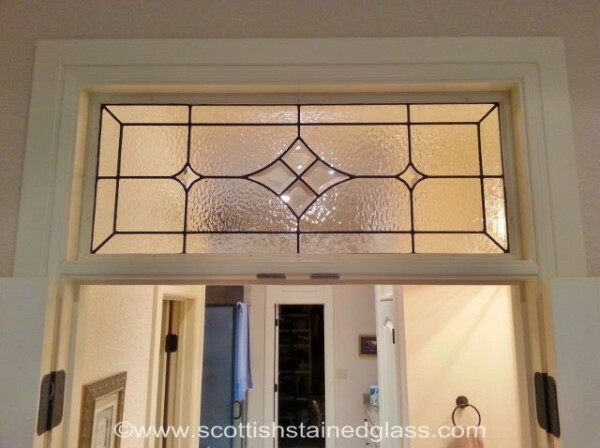 Refurbish your interior doors with stained glass. 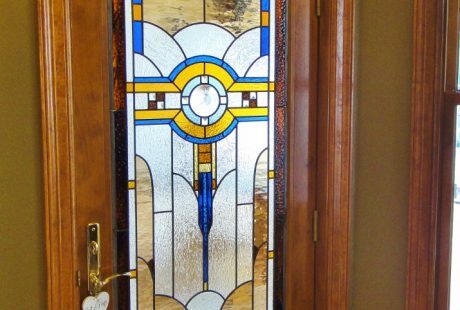 Create an elegant look by inserting stained glass panels into the middle of the doors or in transoms above doorways. You’ll love how this idea opens up your home! Not the artistic type? Don’t worry; there’s professionals who can help you incorporate stained glass into your Kansas City remodel in a stunning manner. Call our office today to schedule a free design consultation.